According to the Vestibular Disorders Association, “the vestibular system includes the parts of the inner ear and brain that help control balance and eye movements. If the system is damaged by disease, aging, or injury, vestibular disorders can result.” Genetic or environmental conditions can cause or worsen symptoms and, in more rare cases, the underlying cause may remain unknown. When the vestibular organs are damaged, the brain can receive and fire inaccurate information about equilibrium and motion, often resulting in balance problems, vertigo, dizziness, and other symptoms. Doctors of Chiropractic are becoming increasingly involved in treating patients with these disorders. 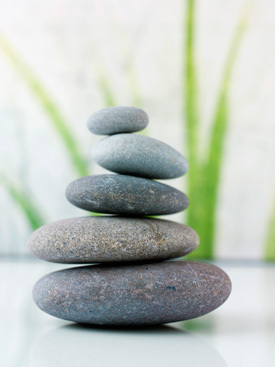 As a chiropractic clinic with a focus on the nervous system, we combine traditional chiropractic care with balance and coordination strategies. We enjoy being able to properly explain to patients the underlying cause for their particular issue. And, we use advanced rehabilitation technology designed to retrain the patient in processing signals from the vestibular system. Many of our patients with vestibular disorders have experienced a dramatic decrease in symptom severity and report a noticeable improvement in their quality of life. We encourage anyone who suffers from a vestibular disorder to visit our clinic and take the first steps towards their optimal wellness. We are your local chiropractor in Red Deer, proud to offer technology and treatment for assessing, managing, and rehabilitating patients with vestibular disorders. Since coming in to see Dr Hoffman, I have seen improvements in my ability to target. Before the treatments, when I would throw the dog’s ball it would veer 20-40 degrees to the right; now, it has improved to 5-10 degrees on either side. I have also had improvements in my day to day life, I am not spilling, bumping into or accidentally hitting things nearly as much as before. I feel more confident going out for walks, I can walk a straight line now without falling over, my bouts of vertigo are greatly reduced, and I have improved range of motion in my neck. If you are interested in scheduling a consultation and examination, please call 403-346-2297 or click here to send us an email.